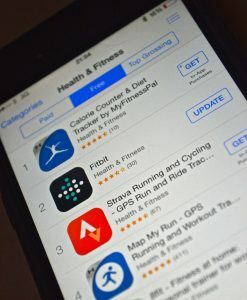 Even with an increasing number of successful citizen science programs around the world, there is often some level of concern raised by scientists, politicians, and other key stakeholders about the credibility of data collected through citizen-led monitoring programs. At the same time, there are entities which support citizen science generated data with the consensus that ‘citizen sensing’ can help provide additional environmental data in areas where monitoring infrastructure is currently absent or limited (Gabrys et al., 2016). The overall support garnered in the whole ‘citizen sensing’ approach revolves majorly around the fact that this practice could lead to ‘indicative measurements’ about environmental pollution. If scientists can rely on indicative organisms (e.g. lichens) to study patterns and changes in environmental conditions, then having access to additional ‘indicative measurements’ of pollution through low-cost sensors should also be beneficial. Rising above the criticism faced from certain constituencies about citizen data, here we discuss how these data sets can go forward in generating impactful ‘data stories’ and help in initiating dialogues with environmental regulators, scientists, and policy makers. Data stories can be compelling as they provide more insight into environmental pollution over time and space. The consensus is not to replace ongoing academic laboratory research or agency led monitoring projects, but adding on to these results and reports with indicative trends and “just good enough data” supporting larger environmental goals (Gabrys et al., 2016). 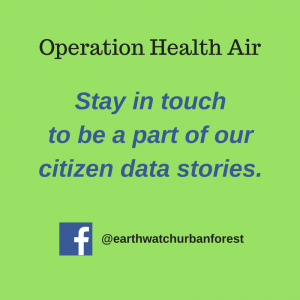 Acknowledging the crucial role which citizen sensing projects can play in generating evidence-worthy data stories, we are launching the Operation Healthy Air (OHA) project in California this summer. The goal of the program is to understand how local habitats (trees and water bodies) and human-made infrastructure (such as buildings and pavements) affect air quality and temperature. 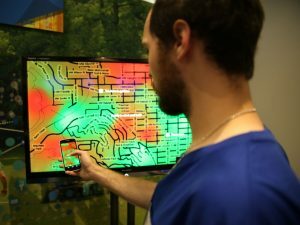 After identifying and building a local citizen network, air sensors will be distributed which have the ability to detect temperature, humidity, and atmospheric ozone levels. Finally, we hope the OHA project will help in developing data stories with patterns, trends, and ‘just good enough data’ to present them to our regulators and scientific partners. If, where, and to what extent are current air-pollution events occurring? Do we need improved air quality regulations from local government and increased accountability from industry? Is there a requirement for more investment in air quality infrastructure? If you wish to help find answers to these questions and participate as a citizen scientist in one of our pilot sampling campaigns for OHA in Long Beach, Chino, and the Inland Empire this summer, then keep in touch with us through Facebook and subscribe to our monthly newsletter. Next year, we also plan to expand the program to greater Los Angeles and other cities. Stay in touch to be a part of our citizen data stories.